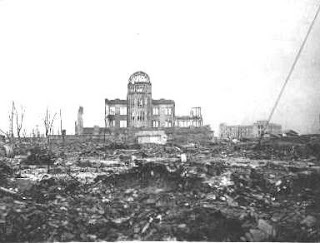 Two simple lessons: What India can learn from Japan's ongoing natural and nuclear disaster. As many of you know, the Greenlight Dhaba is open 24/7; still, we generally only post new menus on Tuesdays, Thursdays and Saturdays. This week we're moving the schedule around because there is just so much happening. Sorry, there won't be a lot of laughs today--but I promise to make up for that next post, which will run either tomorrow or Friday. Last week's controversy over India's 1998 nuclear test has generated a lot of heat. Here at the Dhaba, we said that the whole issue was being distorted by a misunderstanding of some fundamental truths regarding nuclear war. At the Guardian, Randeep Ramesh argued that the resumption of our nuclear testing program would lead to diplomatic isolation for India and a dangerous escalation in the arms race. Unfortunately, the mainstream argument was between those calling for a new round of testing, regardless of the consequences, and those saying we could build plenty of great bombs without any new tests, thank you very much! You can see a sampling of the press (including us!) here. So it's refreshing to see two groups going against the grain on this issue, especially given the fact that Friday is Mahatma Gandhi's birthday. Please do join join these actions--and by all means spread the word. One is a real event, the other is-line, so anyone in the world can help. Also, if you know of other things happening around this issue, please post them in the comments section so we can all get to know about them. Organized by National Alliance of Anti-Nuclear Movement (NAAM), Indian Youth Climate Network and others. 10:30 AM : Wailing and Crying at Gandhi Samadhi about India ’s reckless nuclear policies, programs and projects. National appeal from Rajghat to all the Gram Sabhas across the country to pass a resolution condemning India’s nuclear policies and programs, and demanding the closure of the local nuclear-related projects, both ongoing and upcoming. For more information, see the Facebook Event Page here or the IYCN website. Say No to Uranium Mining in Meghalaya, India! I'm not going to go into the whole nuclear power issue here. Remember, this is a virtual dhaba, not a Five Star News Organization, with reporters who are paid very little to stay up until all hours. Here we pay our reporters nothing to stay up until all hours, and for that, you sometimes have to sacrifice a hyperlink or two! But let's just say that nuclear power is and always has been a very dirty business. 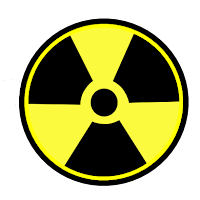 Though many people argue nuclear reactors can help reduce climate change, we must not forget that CO2 is not the only form of pollution on the planet; and the poison that results from nuclear mining and waste lasts for tens of thousands of years. Before we expand our nuclear program--which will never meet all our needs anyway, we need to do much, much more with renewable sources of energy. The sun, after all, is the largest nuclear reactor in the solar system--and it is located a very safe distance from all of our homes. If you do Facebook, join the Say NO to Uranium Mining in Meghalaya, India! group, and repost it to help it go viral. Sign the online petition against Uranium Mining in Meghalaya. Get more information at activist Bremley W.B. Lyngdoh's blog post on the issue. There you will find videos and a lot of background information. That's it for today. 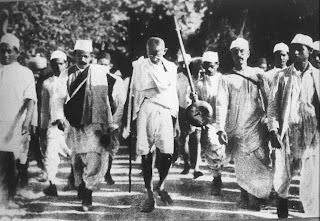 Come back soon for a literary discussion of Gandhi's legacy and the limits of "blogging for change." Maybe I'll call it The No Salt Man. And for those of you wishing you could read the poem from which I stole the title of this post, you can read it here: In a Dark Time, by Theodore Roethke. Building things take time. This is true for tangible things like sewer systems, railways and organizations of people; but it's also true for less tangible things--like this "virtual dhaba." Still, given that we've been open for just under two weeks, the people at Google Analytics tell us things are going well. We've had 1200 page views from nearly 500 "unique" visitors who came from 15 countries. Of course, you serious bloggers will recognize we are still a small time operation. But we're meeting our goals and expect continued growth in the future. We've had a lot of help from some great blogs, including Known Turf, The Plastic Graduate and the Spaniard in the Works. Go check them out. Other friends have twittered us, mailed around our link, and reposted our stuff on Facebook. Someone from The Brecht Forum in New York City saw us and liked our essay on GDP for 9 year olds enough to post it (minus hyperlinks and graphics) on their website. It's strange how word gets around these days. We are terribly grateful for all the help; please continue to continue to spread the word if you like what you see. As we grow, you'll see us move around the furniture from time to time. You may have noticed our new categories widget-- "What's the big idea, Mister?" It doesn't work as well as we'd like it to, but it's a start. Here you will find the Greenlight categories explained (this post), how it all works; what to do; and why worry. Conversation, education and agitation are the mainstays of our menu. We will talk with you and learn from you; we will do our best to teach you things you don't already know in a way that is neither condescending nor needlessly complicated; and we will be provocative, because we think the world is faced with enormous problems, and we need to think fast and think well if we are to have any hope of putting things right. What you won't find here is a 12 point programme for action or a linear argument about what is wrong and/or how to fix it. This is not a political tract, nor is it a "how to" manual. It is a collection of loosely linked and modifiable (remember to comment!) essays and media. But even a virtual dhaba needs some organization, so here are some notes about what our categories mean. The world is a complicated place. From time to time, we'll post things that attempt to simplify and clarify often-misunderstood issues or concepts. Of course, we hope most of our posts will do this to some extent. But here you will find posts that set out to do this explicitly. As mentioned above, we will not give you a step by step plan of action. We will suggest things individuals and governments can/could/should do to improve the world. There's a lot to worry about in the world. We'll do our share of joking, but we won't kid you about this fact. Here is where you will find posts exploring the problems we face. This section isn't up yet, but we hope it will be soon. Here we will highlight the voices of organizers and activists who are struggling for a sustainable and just world. If you have an idea about a group you'd like highlighted, send us a mail. That's it in a nutshell. Please take a moment to browse old posts and tell us what you think. And do remember to check out the events later this week in Delhi organized by the Indian Youth Climate Network and others. You can find information regarding this at the end of Saturday's post; we'll put up more details tomorrow as well; it's going to be a busy week here at the dhaba! "Naked India"--Will a well-tested bomb make you safer? I'll admit it: the "Naked India" headline in The Hindu last week got my attention! "The Hindu!" I thought, "What is the world coming to?" Come to think of it, the widespread use of words like "fizzle" and "dud" in this context suggests another metaphor is at work: nuclear bombs as fire crackers. Between Dasara and Diwali, we'll be exploding a lot of patakas: Atom Bombs, Hydro Bombs...all kinds of bombs. Even I want to use the fire cracker metaphor; there are just so many funny stories I could use. But there's one problem: nuclear weapons are not "fire crackers". Just this week, I argued that symbols are powerful beasts. Let me expand that: sometimes the power of a symbol or metaphor lies its ability to confuse rather than clarify. The atom bombs and the hydro bombs your child explodes at Diwali are nothing at all like their namesakes--they may take off a finger at most, but they won't incinerate a lakh or crore of human beings. So let's clarify things a bit. Nobody is saying that India was unable to explode a really big fission bomb. The question is whether we were able to explode an efficient fusion bomb (AKA "hydrogen bomb"). Fusion bombs are much more powerful than fission bombs, but both are huge. As it turns out, there are a lot of prominent scientists saying the 1998 test was a success. Even those who say the test failed concede it yielded a 25 kiloton explosion. 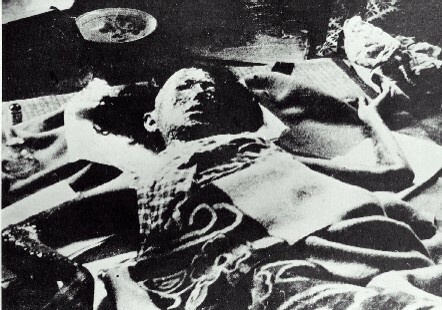 Put in perspective, a 15 kiloton bomb exploded over Hiroshima "yielded" 65,000 deaths. Lest we forget, here is one of them, and it's not for the faint of heart. I, for one, agree with Mehtab Dere, who writes in the Indian Express that from a national security point of view, 25 kilotons is probably enough to deter China. In fact, there are a lot of reasons why China would be unlikely to use their bombs on us, even if we lacked any nuclear arsenal at all. Remember that thing called nuclear winter? That's the climate change we used to worry about during the Cold War, before we figured out global warming. Of course there is no accounting for madmen (please follow that link! ), but I can imagine no scenario under which a rational leader would wage war on India, save, perhaps, one. That is the collapse of the global economic and political order and the widespread starvation and breakdown of civil society that could very well follow from such a collapse. There were many problems with Jared Diamond's book Collapse (it was unnecessarily long-winded for one), but it argued two points quite clearly. First, many powerful societies have collapsed at the peak of their power for any number of reasons-- and often with horrible human consequences. Second: because of the way we are consuming resources and destroying our environment, this could happen to us if we are not careful. Well-tested hydrogen bombs and major increases to our defense budget will not make us safe. It's time we put aside national pride for long enough to figure this out: real security for us and our children will only come if we remake our society into something capable of sustaining life, not destroying it. Note: I just got word that the India Youth Climate Network and others are organizing a "Delhi Rally" on October 1 and 2nd to protest "India's reckless nuclear policies..." If you are in Delhi, this will be the place to be. For details, check the INCN website. And do spread the word. I know you've all come for the fans, but before we start, let me just say one thing from the business end of things. The Greenlight Dhaba is a new project, and we're relying on our readers to spread the word. If you like what you see here, please spend a minute and tell your friends. Consider taking our feed, and remember, Google loves "links", so we'd be thrilled to be on your blogroll, if you have one. If you have nuts and bolts suggestions about what we could do better, by all means enlighten us--we're still trying to figure out how to make this thing go! OK, now for the main course. Everywhere you go these days, you hear the same story: imported=high quality; local means it's cheaper, but it's more likely to break. And I'm not going to try to kid you--too often, that imported product, or that product made with "German technology" or whatever, really is the better buy. Obviously, when all factors are equal, buying local is best according both to Swadeshi principles and to common sense: buying local supports the local economy, and it reduces the environmental cost of transportation. But buying things that are made to break is never a good idea; they will just end up in the dump and you will have to buy more things to replace them. Still, after my blistering attack on Shashi Tharoor on Tuesday, I've gotten a few emails suggesting I'm not being "positive" enough. "You must be a half-empty kind of fellow," they say. So I want to be clear: India isn't just good at producing computer engineers, cows, and beautiful old monuments! We make a lot of other stuff, also. So this is the first in an occaisional series on the things India does well. Seriously. 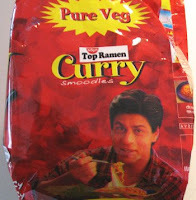 Maybe we can get Shashi Tharoor over in the Ministry of External Affairs to market these idea overseas. Let's call it something like this, Shashi: Indian Green--cheap and best! A lot of people say that high tech solutions are the only way out of our environmental problems. I have nothing against high tech--but I think sometimes, simple is better. And the ceiling fan uses tried and true, simple and reliable technology. I know there is a worldwide need for ceiling fans, because my wife has "Facebook friends" all over the world and sometimes they say stupid things. (Please, don't let this stop you from being FB friends with me; I'm really quite nice and I never pick on my friends!) One day, a woman in Wisconsin, USA complained that her house was 78 degrees Fahrenheit (which I googled and found was 25.5 degrees Celsius.) "I can't sleep--need to turn on the AC!" she said. Does it come as a surprise that nearly one unit in five of all the electricity consumed in the US goes to cooling buildings? Now if that woman in Wisconsin only just had a ceiling fan (or the ability to open her window, I suspect), there would have been no need to turn on the AC! But the sad fact is, only about ten percent of American homes are equipped with ceiling fans. I know, because I went down to Connaught Place and asked ten Americans this question. Only one said she had a ceiling fan, and she said it didn't work very well. Well, let me tell you: the ceiling fans in Delhi won't let you down, and if they do, you can call somebody right away and he will fix it up for you nicely. Delhi ceiling fans are better than American ones--and they use less expensive electricity than American AC's. They are truly Indian Green: Cheap and Best! Today, we're addressing the the recent controversies surrounding Mr. Shashi Tharoor. For those of you who aren't familiar with this modern-day Renaissance Man, he is has made his mark as an author, journalist, and diplomat. In 2006, he ran unsuccessfully to replace Kofi Annan as he UN Secretary-General. He currently serves as the Indian Minister of State for External Affairs, and he represents Trivandrum in parliament. His resume is much, much longer than this, of course. Stop by his website to learn more about the things he does, including the way he uses the power of Twitter to bring comfort to those in need. Ironically, it was Twitter that landed Mr. Tharoor in hot water again last week when the press learned of his now-infamous "cattle car" tweet. No, the "cattle car" he was referring to was not the sleeper class on the Kerala Express--it wasn't even second AC; he was talking about the horrors of flying economy class. But back to Mr. Tharoor. I see no reason to make fun of him for his "cattle car" tweet, because there are so many other things to make fun of him for! Today, I'll focuss on his decision to spend the summer at the Taj Mahal Hotel. First let's be clear: he paid for his accomodation (which typically runs rupees 40,000 per night) out of his own deep pockets. And he had a good reason for choosing the Taj: Kerala House, where the government suggested he stay while waiting for his bungalow to be spruced up, could not meet two of his basic daily needs, "privacy and a gym." The Taj, by contrast, offers privacy, a gym, and a host of other services that Kerala House presumably lacks, including a Mont Blanc showroom, a really nice pool, "personalized Butler Service", and a shop where you can buy jewelry and miniature paintings. I've never been to the Taj, but I've been to a book launch at a nearby four star hotel, and I'll bet the Taj also has guys who stand around in the public bathrooms offering you a clean towell after you wash your hands. Tharoor and S.M. Krishna's decision to move into five star hotels for the summer generated a lot of heat. Some were outraged that we have politicians living like "neo-rajas"; others were outraged that the issue was being raised at all. One comment in response to a story in Express India Online said, "This is insane.. if a person is bearing his/her cost, he is free to do wateva he wants with his money, you are no1 to moral police him on how he should spend." The writer of this coment has a point, even is s/he can't spell: a person is free to spend his or her money on just about "wateva" he or she likes in this great country, regardless of the consequences this might have on others. These days it considered bad form in many circles to throw away paper without recycling it, but most people don't question the right of the rich to their private swimming pools, round-the-clock AC's, or long weekends in Paris. But these things actually impact the world in disasterous ways. According to the World Health Organization, climate change is already the direct cause of 150,000 deaths per year world-wide. UNICEF-UK recently released a report detailing the ways in which children are worst affected by climate change--it's chilling stuff. To be fair, we all participate in pollution and exploitation to some degree. The rich just do it more. 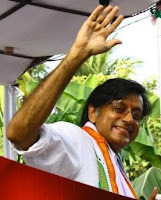 Is it really fair to single out Mr. Tharoor? After all, I wrote last Saturday about the problems with thinking that personal personal responsibiltiy alone will change the world. So let me be clear: worrying about whether you drink your beer in a bottle or a can, or whether it's more important to buy organic or to buy local are not the same as deciding whether you should spend the summer in the Taj or in more modest accomodations. Extraordinary, over-the-top consumption, like spitting paan on your neighbor's wall, is no longer something we can tolerate in polite company. Of course, it's much worse when our political leadership does these things. That's because of something called symbolism. For thousands of years, kings and emperors have understood symbols can be as effective as armies in conveying to others the power and meaning of their nations. In Delhi, we are surrounded by evidence of this, from Qutab Minar to India Gate to Raj Ghat. Yes, Tharoor understands symbols, but he apparently doesn't understand the ideals of the people who founded this country. Remember the Swadeshi movement? This country's founding ideals do not require passports, because they are rooted right here in the land and the people that gave birth to them. the values of the millions of people who struggled and won our freedom with the values of power and over-consumption represented by the Taj Mahal Hotel. Just last week we wrote about the link between climate change and failing monsoons. For that reason and for many others, we can be sure that as bad as poverty is today, it will be much, much worse, if we continue to worship at the alter of greed and over-consumption. In the lived context of most of this country today, the words Mahatma Gandhi used in 1924 to describe the Swadeshi movement sound strangely current. It is, he said,"a call to the consumer to be aware of the violence he is causing by supporting those industries that result in poverty and harm to workers and to humans and other creatures." Makes a lot of sense, no? It's been a busy week down at the dhaba. Since Facebook hosted our "virtual launch" on Tuesday, we've had close to three hundred customers according to the fellows over at Google Analytics. Small potatoes, but we had to start somewhere. Thanks to everyone who's posted or otherwise passed on our link. While we're on that subject, someone must have given us a big shout-out in the Great White North, because a bus load of nearly 50 Canadian eco-tourists stopped by the dhaba on Wednesday! I suspect the good people over at the Dogwood Initiative might have had something to do with that. There are lot of serious struggles going on in Canada these days, and we promise to look at those issues more carefully in upcoming posts. A special thanks also to Known Turf and the Plastic Graduate for their blog plugs. Twitter was a bust--instead of tweeting, I think the guys and I will try spending a rush hour or two on the Moolchand flyover next week holding a www.greenlightdhaba.org sign. While standing in real traffic might not not generate a lot of web traffic, I bet it would beat tweeting in the dark! I promised some dirt on Shah Rukh Khan--and I don't want to let you down. But SRK's not going anywhere, and more pressing matters have presented themselves: climate change is not only threatening to undermine our nation's food and water supplies, as we suggested last week--it may be endangering the world's supply of wine and beer! Just the other day, an article in the New Scientist said that climate change might undermine the quality of European beer! Czech pilsners are particularly in peril. And as if that weren't enough, the New York Times cited a new report which finds global warming may have a "critical effect" on high quality wines. These stories have had the environmental sector of twitter space buzzing nervously for days. at the counter of our local Wine-Beer shop, most of us aren't thinking about the expensive imported wines--or even the Czech pilsners. If we aren't feeling like hard liquor, it's most likely a cold beer we are after. Personally, I like Kingfisher Extra Strong. The only question I have to answer when I reach the front of the line is: can or bottle? I've never been able to taste the difference between the two, so I've always chosen bottles over cans. The bottle gives a slightly better value for the money, and I've always assumed it was the more environmentally friendly choice. I did some research on this question, "just for fun". I found that there is a columnist at Slate Magazine, who gets paid to think about these kind of things in more detail than you can imagine. He actually looked at the can/bottle question, and he explains his findings here. As it turns out, I was right--the bottle of Kingfisher is better. Why? Because we do such a good job of recycling/reusing bottles in India (thank you, kabaadi walla), and because Kingfisher is brewed and bottled in plants near Delhi, as I learned on page 58 of this 462 page document. Glass is much better than aluminum in that scenario because aluminum mining and smelting is dirty and energy intensive. However, aluminum is better if your beer comes from a very long distance away, because aluminum is so much lighter than glass and thus takes much less energy to ship. So if you ARE drinking that Czech pilsner, better buy it in a can -- or better still, a keg! It will probably come as no surprise to you that I found this exercise extraordinarily frustrating. Researching and writing this post took so much time that I didn't have time to drink the can and bottle of Kingfisher that started it all! 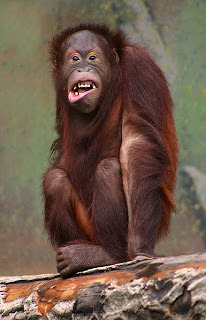 How can anyone be environmentally correct, if it takes so much energy to figure out what being correct means? Of course, it's impossible! Yes, we should do what we can to be responsible: buy locally, buy less; recycle and reuse--the regular stuff. But words like, "environmentally conscious", "green" and "personal responsibility" are a bit like Teacher's Day and Friendship Day: too often, they are rituals with no real meaning. In fact, companies love the idea that environmentally responsible individuals are all that is required to save the world--because then companies can go on doing whatever they want to do. But personal responsibility alone will never be enough. We also need to expect governments--local and national-- to do their share by making sure the price of products in the market reflects the true cost of their environmental impact: from the mine to the dump. In that scenario, local, environmentally friendly products would become cheaper, while imports and other unsustainable products would become more expensive. Let's not kid ourselves; we'd have to give up a lot of things we like. But it would be good for the environment, good for local job creation, and in the long run we might end up with a world fit to give our children. Just the other day, my nine year old asked me this as he pulled on his school uniform: "If all the rich people lived at the same rate as us, would all the poor people also be able to live at the rate we are living at?" Once he repeated the question, I understood what he meant: if all humans shared the world's wealth equally, what would our fair share be? Is it fair how we live? Sharing and fairness are ideas that nine year olds think a lot about, so in some ways, my son's question was a natural one. I didn’t have an easy answer, so I told him he’d be late for the school van if he didn’t hurry up. (I was right. He was late.) But his question got me thinking, because I recognized it was something I’ve wondered myself. But before I show you those numbers, I need to use some words that may make you feel drowsy, so try hard to keep those eyes open—I’ll talk slowly and clearly and it won't take long-- ready? You have to understand that a country’s Gross Domestic Product (GDP) is just a fancy way of saying the total market value of all the goods and services produced or performed in that country--in other words the total of all the money spent in one year! The per capita GDP is the GDP divided equally by the population of a country—including children. In other words, each man, woman and child's fair share of all the money spent in a year in a country, a world, whatever. The IMF, the World Bank and the US Central Intelligence Agency spend a great deal of energy on figuring this stuff out, but nobody explains it outside university or the financial pages. You can look at hundreds of GDP figures at this boring site—or at this site, which is like video game; it allows you to sort per capita GDP numbers in dozens of colorful ways. Whew! If nothing else, those numbers say the problems we face are about distribution as much as they are about consumption, and the problem of distribution of resources is both global and local. In other words, the world is not fair. My nine year old can understand these numbers enough to figure that much out. However, we need to be careful when we look at these numbers, for two reasons. 1. The current level of global consumption is nowhere near sustainable. How much consumption is sustainable is a question for another day. But it is probably less than most of us realize. In other words, we should all use less stuff. 2. The GDP alone is a fundamentally flawed measure of a nation’s success. GDP does not measure the value of the unpaid labor that parents perform in raising children. Child’s play, happiness and health are not counted in the GDP; neither is the quality of a nation’s water or air. A south Delhi shopping mall will add more to the GDP than a low income housing project; providing clean drinking water to slum dwellers won't "perform economically" like a new coal fired power plant or a cigarette factory, but it will save lives. In other words, the GDP says more stuff is good, even if the stuff is bad! And it ignores a lot of good stuff! The idea that we should measure our success as a nation by more than just the amount of stuff we buy and sell is no longer a fringe idea; in fact, just this week, the conservative French President, Nicolas Sarkozy spoke at length about the drawbacks of a GDP-centered approach to development. This, by the way, is making a lot of conservative pundits nervous. And it should, because, like fairness and sharing, it is one of those things that is so obvious it makes sense to a nine year old.